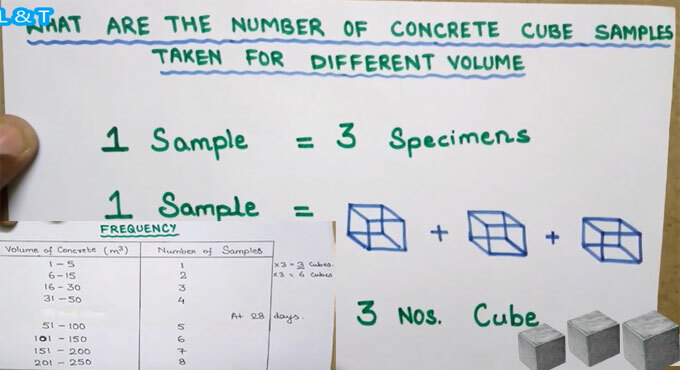 In this construction video tutorial, one can learn how to find out the numbers of concrete cube samples for different volumes. When casting is done at the construction site from a batching plant or other equipments, readymade concrete mix RMC) is produced. If you want to know how much samples are required for different types of concrete volumes for testing and checking compressive strength, the following formula should be applied. A batching plant is an equipment that amalgamates different types of components to develop concrete. Some of these inputs range from water, air, admixtures, sand, aggregate (rocks, gravel, etc. ), fly ash, silica fume, slag, and cement. To get online demonstration, go through the following tutorial below.